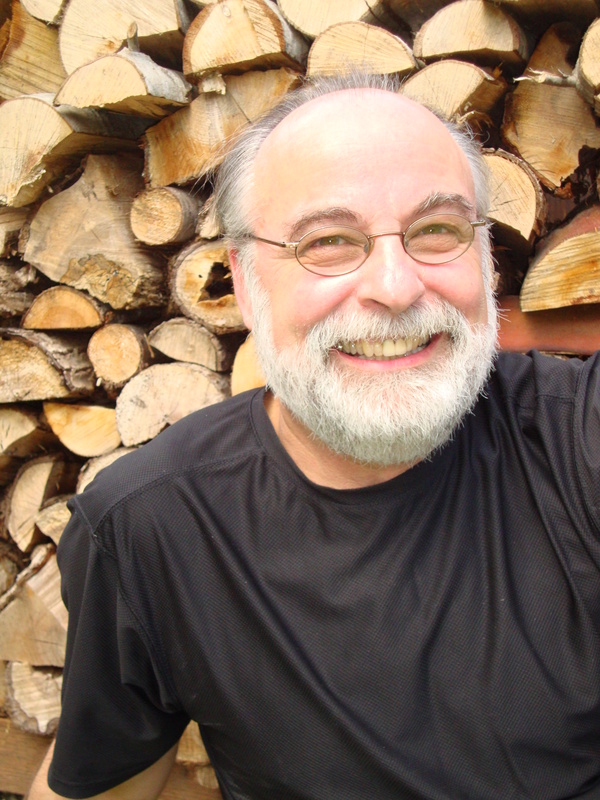 In the second installment of our WordSpring 2015 interviews, The Haberdasher is pleased to spotlight award-winning poet Ken Letko. Letko will be leading both a poetry and a publishing workshop at this year’s conference, on Saturday, April 25th. Alexis Butcher (AB): What is your writing process? Ken Letko (KL): I tend to notice things in the natural world, or I have realizations in other settings, which cause me to jot down a phrase or a few key words. I collect these kinds of ideas and images, often on scraps of paper. I carry them around in my pocket, and they usually grow into a heap on my desk. The Oregon poet James Grabill taught me the “mulch pile” is the proper name for it. Reading also alerts me to special words, and the dictionary is yet another contributor to my “mulch pile.” Something eventually makes me start seeing how the tidbits fit together. Other times I just start writing with whole poems coming out of me. Sometimes I wake up at night or in the morning and have to write things down. AB: Your workshop is on publishing. Have you always been passionate about it? KL: I started publishing in the literary magazine, Portage, at the University of Wisconsin-Stevens Point when I was an undergraduate there. Publishing for me then and still now amounts to sharing my writing with others. Of course, it lets me see the work of others, too, so it’s a kind of friendly meeting point. I sometimes need to stop working on a poem, so sending it off for publication is a way to stop tinkering. Having something accepted for publication is confirmation that someone else recognizes value in it. That’s always gratifying. AB: How would you define publishing? KL: Publishing is making writing public. It’s allowing others to see your ideas and feelings. For publishers and editors, it’s taking on the job of making others’ writing public, which bears considerable responsibility to the writer, to the reader, and to the work being put into print. Publishing allows people to engage in a process, become part of something larger than self. Editors of the magazines I’ve worked on in the past and the one I work on now, the Kerf, always considered /consider each manuscript carefully, knowing each piece of writing represents a person. Be respectful. So, even if a manuscript is rejected, the creator of it has shared his or her writing with at least one, usually a few editors. The submitted manuscript has been in the hands of others who love writing. AB: What got you into publishing? KL: I spent a year teaching writing at the Xian Foreign Languages Institute, 1984-85. While I was there, I worked with a small group of people (Chinese and American) to translate Chinese poems into English. When I returned to the U.S., I had a one-year lectureship at Bowling Green State University, the same school that arranged for my year in China. When the people editing Mid-American Review at BGSU learned of the Chinese translation project, MAR published a bilingual chapbook of those translations. That was the starting point. After that, MAR was looking for a translation editor. I volunteered for an issue. Then I became poetry editor for a couple issues. Then I became the editor, taking responsibility for MAR‘s, funding and getting to press each semester. I served as editor in chief for three years. In parallel, while I was in China I pursued juggling, a hobby I was passionate about, juggling two days a week in the practice gym of the Shaanxi Acrobatics Troupe, working out with the student jugglers. The officials there wrote me letters of introduction to jugglers at other troupes. When I had time off in January, I traveled around, visiting a couple other troupes, watching performances, conducting interviews. Ultimately, I wrote a profile of juggling in China, which was published as a feature story in the magazine produced by the International Jugglers’ Association. After that, the publisher of that journal invited me to become the poetry and fiction editor. As a result, for a number of years, I edited a range of things for those two magazines, Mid-American Review and Juggler’s World. When I moved to California in 1991, I founded the Kerf, a poetry magazine, at College of the Redwoods. It continues to publish one issue annually. AB: What got you into poetry? KL: When I was an undergraduate student in Wisconsin, I thought of myself as a writer, not specifically a poet. My coursework required that I generate short fiction and poems. However, when I became interested in an MFA, I had to declare a focus. Because BGSU’s MFA Program had a cancellation just as I contacted the program’s director, she put me on a very short timeline to meet the application requirements to begin in the fall of 1981. Altogether, I had just over a couple weeks to apply and move from Wisconsin to Ohio. Back then, no word processing was available. I had to type (ahhh, that beautiful old Underwood!) my manuscript to meet the requirements. It was simply faster to type up the requisite number of pages of poems. I was admitted to the program as a poet as a result. AB: How did you come to enjoy poetry? As opposed to writing novels or articles? KL: While I have not written a novel, I wouldn’t rule out the possibility should circumstances lead me in that direction. I do write essays and book reviews from time to time. One thing I’ve come to value is deciding whether a writing idea should become a poem, essay or story. So, I’m not especially wedded to poetry only. AB: What are you currently working on? KL: I think I’m close to finishing a poetry chapbook titled Even Breathing. Nevertheless my mulch pile is growing, so I’m probably about to launch a new project. I just don’t know what it is yet. Because I teach a full load during the academic year at College of the Redwoods, I focus on working with my students and colleagues. While my reading never stops, I tend to build up a pile of summer reading. The mulch pile builds, too. I look forward to time off from scheduled responsibilities so my reading and roaming in the natural world will organically germinate my next project. AB: What keeps you sane, and or grounded? KL: I love wood. As a result, I spend a lot of time in the Siskiyou Mountains of Northern California. All of the trees there and the other plants and animals make me happy. I love gathering firewood! I love stacking firewood in my living room and on my front porch. I love being around the fire, warmth, eating food cooked on wood, the primitive call of the coals, the spirit in the smoke. I love trees, the lumber from them, the shapes in wood grain, the way freshly sawn or split wood smells. Cedar, myrtle, chinquapin, oak, fir, others, I love them all. Small carpentry projects, walking on a wooden floor! AB: What keeps you inspired? KL: My wife, Denice, is a poet, novelist, essayist, photographer, artist. She has a way of bringing ideas to me, a way of bringing ideas out of me, a way of putting a book into my hand, a way of working on her own writing that motivates me. Her own self-discovery, spirituality, never-ending quest, all shine a bright light on my potential. She gets me going. The natural world is vital, hiking, river rafting, walking near the ocean. I get excited every time I remember seeing a cougar on Sanger Mountain. I also enjoy tending a garden. Of course, reading brings me much. Because of my connection to the Kerf, many contemporary journals pass through my mailbox as a result of exchange subscriptions. AB: What are your influences? KL: When I was in high school I read a lot of biographies, those of Harpo and Groucho Marx especially made a mark. Robert Bly is huge. Long ago, when I first read This Body Is Made of Camphor and Gopher Wood, my life was changed forever. Recently, Steven B. Herrmann’s books on William Everson and Walt Whitman, Carol Sklenicka’s biography of Raymond Carver have all made an impact. Ecotopia, by Ernest Callenbach, Johnny Cash, by Robert Hilburn, and Watchman’s Rattle, by Rebecca Costa have also been important reading for me. AB: What is your favorite genre to write or project you’ve worked on? KL: Wow! There have been so many! In the late-eighties, I worked with my American colleague Thomas S. Edwards on a number of translations from German. Thomas Schaller, from Germany, Ulrike Aitenbichler, from Austria, were also part of the project. We translated quite a few poems into English. The process involved meeting together and hashing out all the disagreements. We typically ended up sending our finished text to the writer and then accommodating yet another round or two of hashing it all out. With beer, wine, and potlucks, we spent so much time with good will. Once, Tom Edwards found the funding to bring German poet Christoph Derschau to the U.S. In an art gallery with food and drink, Christoph read his poems in German. I read the English translations. Everyone in the room seemed to cross an ocean. At home, Denice and I occasionally have microphone night. We have a small amp connected to a mike. Sitting by the fireplace, each has a chance to give a short presentation with only the other person in the audience. Microphone night gets things going, gets things refined, gets me to hear what’s working. Microphone night is a small, homemade joy. AB: What are three things you tell young writers? KL: Believe in yourself, keep writing, attend readings. AB: Can you give me a little sneak peek into your WordSpring workshops? KL: My workshop on publishing will help participants understand what publishing means, what sending out a manuscript means. Of course, manuscript submission has different meanings for different people. My hope is that any person who attends will leave with a better idea of how participating in the publication process is a kind of empowerment. Our thanks to Ken Letko. You might enjoy Letko’s poem, “The Power of Light,” published by our friends at Rattle. For more information on WordSpring 2015, including workshop descriptions, presenters bios, and registration details, please visit buttewordspring.org. Don’t forget to check back later this week for more leHab interviews with WordSpring 2015 presenters.